Dr. Aziz Dweik, head of the Palestinian Legislative Council, stated that the failure of negotiations is not a surprise to the Palestinian people, adding that a Palestinian state could not be established through negotiations. In an exclusive interview with the PIC reporter, he stated that some Palestinian political parties resort to peace talks due to external interferences aiming to obtain some achievements, however every round of negotiations confirms the negotiation option's failure. Concerning the national reconciliation, Dweik said that talks' failure has led to a breakthrough in reconciliation efforts, noting that reconciliation and negotiation cannot meet together. He stressed that reconciliation should be on the top of all priorities away from the external and Israeli dictates and plans. He stressed that Haniyeh's call to implement reconciliation needs a good intention from the other side, calling on the Arab and Islamic nation and the Palestinian people to overcome all internal differences in defense of al-Aqsa and Jerusalem. 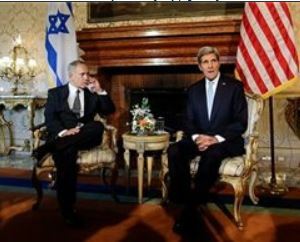 U.S Secretary of State, John Kerry, held on Wednesday [October 23, 2013] a seven-hour meeting with Israeli Prime Minister, Benjamin Netanyahu, in Rome, and urged him to advance peace talks with the Palestinians, especially on core issues. The two also discussed the “Iranian file”. Kerry asked Netanyahu to demonstrate he is willing to work with President, Mahmoud Abbas, to reach a solution on core issues topped by borders, settlements, the Jordan Valley and border terminals with Jordan. President Mahmoud Abbas warned Tuesday Israel would be to blame if ongoing peace talks collapsed over its military control of a border with Jordan. "We will not accept it, and if they (the talks) collapse, they (Israelis) will be the reason for the collapse, not us," Abbas told the Baltic News Service during a visit to Lithuania, current holder of the European Union's rotating presidency. 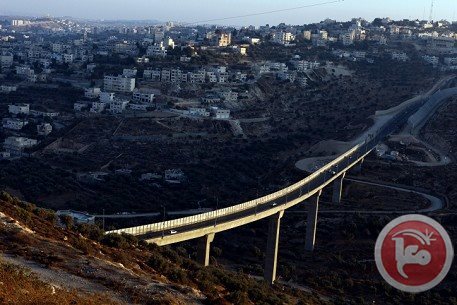 Israeli daily Maariv reported last week that negotiations almost collapsed in September due to conflicting positions on future borders, particularly where the eastern West Bank adjoins Jordan. Israel has long stated that it seeks to retain a long-term military presence along the Jordan Valley, which makes up roughly a third of the occupied West Bank. At present, around 94 percent of the Jordan Valley and Dead Sea area is off limits to Palestinian use and development. But Palestinians flatly object to any Israeli military on land that could become the eastern front of a future Palestinian state. 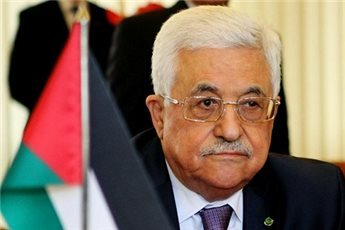 "They don't have the right to stay in our territories after we signed a peace treaty," Abbas said Tuesday, while stressing that he accepts a future demilitarized Palestinian state. "We want, according to the Oslo Agreement, a strong police force. This is exactly what we want, how we understand, how they understand, how the Americans understand it," the PA leader said. 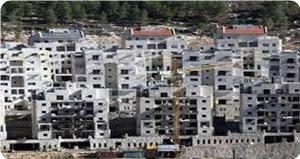 Abbas also hailed the European Union's demand on Monday that Israel stop building settlements in the occupied West Bank. 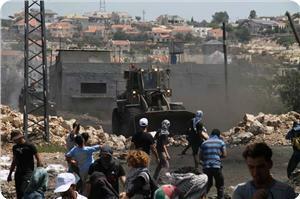 Speaking for the 28-member EU, Lithuania said Monday that settlements were impeding the peace process. "They (EU countries) will implement their proposal (addressing the settlements) at the beginning of 2014, which is very, very important for the peace process," Abbas added, terming this a "strong signal to Israel". Israeli media sources have reported that Palestinian and Israeli negotiators held over the last four days three direct negotiations sessions, behind closed doors, and without making statements to the media. The sources quoted U.S. Secretary of Sate, John Kerry, stating Monday that Palestinian and Israeli negotiators held so far 13 sessions of extensive direct talks in an attempt to accelerate the political process to reach a solution in the near future. 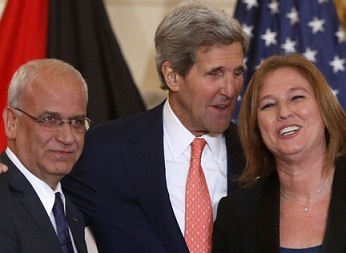 Chief Palestinian Negotiator, Dr. Saeb Erekat, and his Israeli counterpart, Tzipi Livni, are also planning to meet for an additional round of talks this week. Israeli Walla News Agency said that Israeli and Palestinian negotiators discussed core issues, topped by Jerusalem. 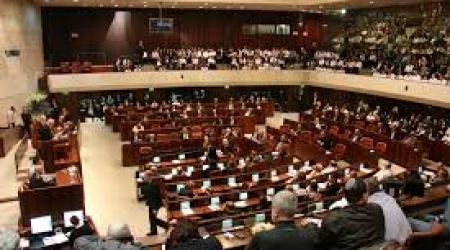 This is happening while the Israeli Knesset is discussing a new law that obliges the Israeli leadership to obtain the approval of %80 of Knesset members before discussing the future of the occupied Holy City, the Arabs48 News Website have reported. Israeli-Palestinian peace talks have repeatedly hit dead ends due to ongoing Israeli violations, topped by Israel’s illegal settlement construction and expansion activities in the occupied Palestinian territories, especially in and around Jerusalem. 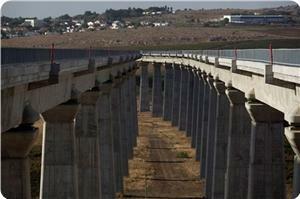 Israel also insists on maintaining control on border terminals, natural resources and the Jordan Valley. It also refuses to recognize the internationally guaranteed Right of Return of the Palestinian refugees, and rejects a full withdrawal from the occupied West Bank. Palestinian and Israeli negotiators have held a new round of peace talks in Jerusalem, a Palestinian official said, saying it had focused on the issue of water resources. Monday's session was attended by Israeli Justice Minister Tzipi Livni and Palestinian negotiators Mohammed Shtayeh and Saeb Erakat, the official said. The official did not elaborate, but the question of water rights is one of the core issues that must be settled in any peace deal. Israel controls most of the underground water resources in the West Bank, and the Palestinians want a more equitable share of them. US Secretary of State John Kerry said on Monday that negotiations, which take place under an American-imposed media blackout, have "intensified." Speaking in Paris, Kerry said that, since the end of July, 13 direct meetings have taken place, including three in the past four days. "The pace has intensified, all the core issues are on the table and they have been meeting with increased intensity," Kerry said. "It is no secret to anybody that this is and remains a difficult process, there is no shortage of passionate sceptics," he added. Kerry will be meeting Israeli Prime Minister Benjamin Netanyahu in Rome on Wednesday. US Secretary of State John Kerry said on Monday that talks between Israel and the Palestinians were intensifying and that all issues were on the table. He also announced that Qatar had agreed to provide $150 million in debt relief to the Palestinian Authority. Speaking after talks with Arab League officials in Paris, Kerry said Israeli and Palestinian negotiators had so far held 13 meetings, including three meetings in the last four days alone. "The pace has intensified, all the core issues are on the table and they have been meeting with increased intensity," Kerry told journalists at a joint press conference with Qatari Foreign Minister Khaled al-Attiyah. Since becoming secretary of state in February, Kerry has dedicated much of his energy to restarting peace talks between Israelis and Palestinians, which were frozen in September 2010. Under intense US pressure, the two sides resumed direct talks for the first time in nearly three years in Washington at the end of July. "It is no secret to anybody that this is and remains a difficult process, there is no shortage of passionate skeptics," Kerry said. "The Israeli and Palestinian people both have leaders who absolutely understand what is at stake and they have taken risks to bring both parties to the table." Kerry praised the Arab League's "remarkable commitment" to pushing the peace process, saying it is "critical to creating the momentum and the seriousness of purpose that is essential in order to be successful in these talks." He praised the Qatari move to provide "urgently needed" debt relief to the Palestinians and said he was "confident" that other Arab countries would follow suit. Attiyah meanwhile said the Arab League was "concerned about the environment" surrounding the peace talks, singling out the expansion of Israeli settlements and the continued isolation of the Gaza strip. "We talked about the issue of Gaza and the futility of isolating Gaza," he said, in comments translated into English. "There are millions of people living in Gaza and they are in need of food supplies and medicine," Attiyah said. "There must be a way to open the crossing points to all parties to enable the people in Gaza to live." Kerry is to meet later this week with Israeli Prime Minister Benjamin Netanyahu in Rome to discuss the peace talks. Highway 60, called the Tunnel Road, which bypasses Palestinian villages to connect Jerusalem to nearby Jewish settlements. The road is only open to Israeli license plates. Israeli lawmakers approved a bill on Sunday stipulating that a two-thirds majority of Knesset members would have to consent before the Israeli government could begin any negotiations over the status of Jerusalem. The bill passed with a 5-4 majority through the ministerial committee in charge of approving draft legislation before being sent to the Israeli parliament. The bill comes only a few months after the Palestinian Authority and Israel resumed peace negotiations following US pressure. The bill would require that 80 out of 120 Knesset members vote in favor of any decision to even begin discussions of the status of Jerusalem, including the future of Palestinian neighborhoods in East Jerusalem. Without this majority, the Israeli government will not be allowed to commence any discussions on the topic, which is one of the most central issues in the ongoing peace negotiations. Both Israelis and Palestinians consider Jerusalem to the be the capital of their states, although Israel refuses to allow Palestinian authorities to reside in the city. Israeli forces occupied Palestinian East Jerusalem in 1967, along with the West Bank, Gaza Strip, the Golan Heights and other territories. Israeli authorities annexed East Jerusalem to the State of Israel in 1980, in a move that brought international condemnation. 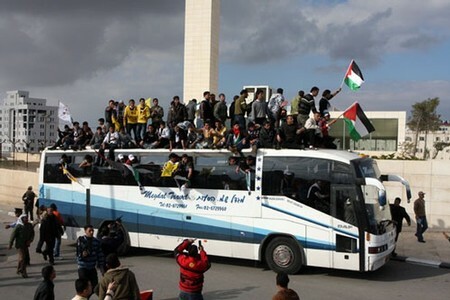 Palestinian officials and onlookers denounced the move, confirming that it undermines the potential for success in the current peace talks. Meanwhile, many Israeli politicians supported the bill and a few opposed it. "The right wing Israeli government has been trying to foil negotiations since they started," says senior Fatah leader and member of the movement’s Central Committee Jamal Muheisin. He pointed out that the suggested bill would prevent any land swap. "Peace," he added, "can be achieved only if Israel wishes." Similarly, coordinator of the Committee against the Judaization of Jerusalem Khadr Salamah described the bill as an "Israeli attempt to evade any commitments to the peace process." "The bill," he added, "will mainly affect the Palestinian residents of Jerusalem as it entails continuation of settlement expansion in East Jerusalem." Palestinian political analyst Ahmad Rafiq Awad says if the bill is passed the peace process will be meaningless. "Passing this law means a Palestinian state cannot be established because that isn't possible without the eternal capital Jerusalem," he said. On the other hand, Israeli Minister of Justice Tzipi Livni announced that she would contest the bill. "We will do everything to protect the interests of the state of Israel, and we do that through negotiations." Commenting on the proposed bill, Livni said it is a "rude" attempt to undermine the authorities of the Israeli government, rendering it unable to make decisions and run political affairs in Israel. "This proposal is needless because it harms the government’s independence. It is regrettable and strange that members of the coalition support it." Meanwhile, Israeli minister of economy Naftali Bennett, who heads the right wing Jewish Home party, welcomed the bill as a "very important move." Addressing members of his party, Bennett said that Jerusalem belonged to the successive generations of the Jewish people, "and even 120 Knesset members can’t relinquish it." He urged Israeli premier Netanyahu to immediately submit the bill to the cabinet for approval. "The capital of the Jewish people is not negotiable," he added. Israel’s chief peace negotiator Tzipi Livni Monday filed an appeal after ministers approved a bill aimed at curbing peace talks on the future of occupied Jerusalem, her spokeswoman said. The draft law seeks to prevent any negotiations on the future of the city without first obtaining a two-thirds majority of 80 of the 120 members of the Israeli parliament. It was approved late on Sunday by a 5-4 majority within the nine-member ministerial committee responsible for preparing draft legislation to put to parliament. Livni, who serves as justice minister and heads the centrist HaTnuah, voted against the bill along with three other ministers, one from her party and two from the centrist Yesh Atid. Palestinian Minister of Detainees, Issa Qaraqe’, stated Monday [October 21, 2013] that Israel will be releasing the second phase of Palestinian detainees on the agreed upon time, October 29. The release is part of an agreement to release all detainees held before 1993. Qaraqe’ added that the release is part of incentives to ensure the continuation of direct peace talks between Israel and the Palestinian Authority in the West Bank. The talks were resumed, away from the media, under direct American mediation. Israel was supposed to release all detainees, held before the first Oslo Peace Agreement was signed in 1993, but failed to do so. After direct peace talks were resumed, Israel released, on August 14, 26 veteran detainees, held before the first Oslo Agreement, and agreed to release the second phase on November 29, a third phase on December 29, and a fourth on March 28 2014. This was part of an agreement, mediated by the United States, to ensure the resumption of peace talks that were halted for three years due to ongoing Israeli violations, including invasions, arrests, and ongoing settlement activities. The agreement is meant to ensure the release of all 104 detainees held by Israeli since before 1993 on four stages. “The Israelis told us they will conduct the second phase on October 29”, Qaraqe’ said, “But they did not give us any lists yet, they also refused to allow us to participate in naming the detainees to be released”. Despite the resumption of talks, Israel soldiers continued their violations, invasions, arrests, and the demolition of Palestinian homes and property, leading to dozens of casualties, including several fatalities. Furthermore, extremist Israeli settlers escalated their attacks against the Palestinians, their farmlands and orchards, their homes and property, and against Islamic and Christian holy sites, and graveyards. Jerusalemite scholar Dr. Mustafa Abu Sway stated that the Israeli entity suffers an international isolation due to its escalated crimes and violations. 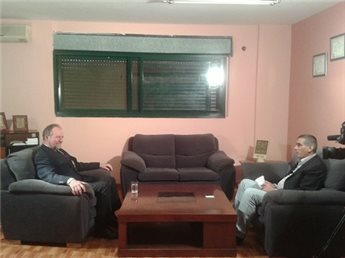 In an exclusive interview with the PIC, he stressed the role of the nation's leaders and scholars in the Palestinian cause. He called on the Organization of Islamic Cooperation to activate the Palestinian issue in international forums and to act in support of Palestine and Jerusalem and Al-Aqsa Mosque. He said that anyone who can enter Palestine under occupation will notice the Israeli injustice imposed on the Palestinian people, the escalated settlement construction, the Israeli restrictions on Muslim worshipers in al-Aqsa mosque, in addition to the racist Apartheid Wall. Similarly, those who are not allowed to enter Palestine due to the Israeli border restrictions will automatically realize the Israeli racist policies. Concerning the ongoing negotiations, Sway said that there is no real comparison in terms of balance of power between Israel and the Palestinians. In light this imbalance, the Palestinian negotiator will not achieve anything, however they can reject Israeli impositions, he said. He said that Jerusalemites boycott the Israeli municipal election especially that it legitimizes the occupation and its settlement and racist policies against Palestinians. Dr. Mustafa Abu Sway is an Associate Professor of Philosophy and Islamic Studies and Director of the Islamic Research Center at Al-Quds University in Jerusalem. He graduated from Boston College in 1993. In addition to his academic role, he is involved in public issues locally and internationally. 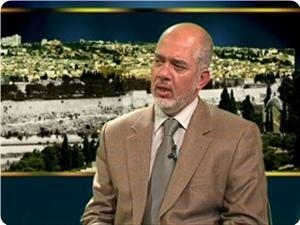 He published many papers and articles concerning Islam and the various aspects of the Palestinian issue. A senior Israeli official held the Fatah-controlled Palestinian Authority (PA) fully responsible for the recent escalation of the West bank resistance operations. The Hebrew radio quoted deputy speaker of the Knesset Ofir Akunis as saying that Israel holds the Palestinian Authority and its president Mahmoud Abbas responsible for the recent security deterioration and terrorist attacks that took place lately. 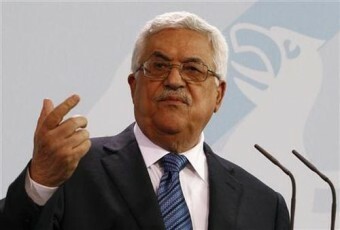 Akunis also claimed that the Palestinians incite against Israel and Abbas's latest remarks about a Palestinian state without Jews encourage violence and lead to growing terrorist attacks against Israelis. 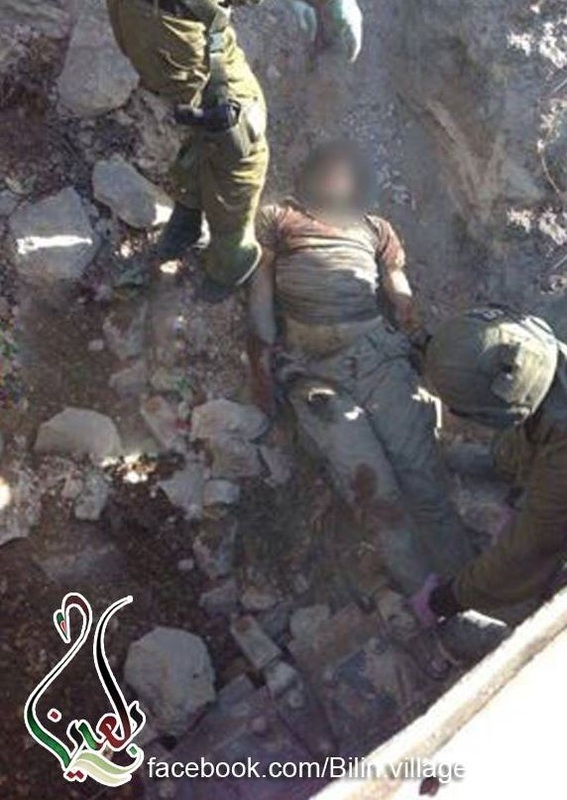 The Israeli occupation forces (IOF) were put on high alert in the West Bank in the wake of some recent attacks against Jewish settlers and soldiers, described by the Palestinians as resistance operations and the Israelis as terrorist attacks. For his part, Avigdor Lieberman, head of the foreign affairs and defense committee at the Knesset, called on the PA to make radical changes in its school books in order to create what he described as the generation of peace. Lieberman told the Hebrew radio on Sunday that Israel has to demand the PA to restructure its educational system, and complained that the Palestinian school books do not contain any map of the state of Israel or mention anything about the Nazi holocaust. He stressed that it would be impossible to initiate genuine negotiations on a permanent settlement agreement before the Palestinians raise their children on peace. Hamas, its Gaza Strip stronghold cut off by the new military-backed government in Egypt, called upon rival Palestinian President Mahmoud Abbas on Saturday to end their six-year schism and form a unity government. Abbas's secular, U.S.-backed Fatah faction lost a 2006 ballot to Islamist Hamas. They sat in an uneasy alliance until a civil war the following year left Hamas ruling Gaza while Abbas's authority was limited to the Israeli-occupied West Bank. Egypt brokered a Palestinian reconciliation deal in 2011 but it was never implemented. In Cairo, meanwhile, Islamist President Mohamed Mursi was toppled by the army, which treats Egypt's Hamas neighbours as security threats. "Our conditions do not allow for keeping up differences," Ismail Haniyeh, prime minister in the Gaza administration, said in a speech calling on Abbas and Fatah to renew dialogue with Hamas, schedule new elections and enter a temporary power-share. 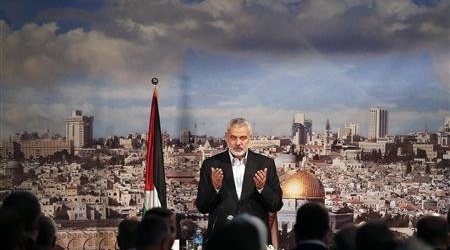 "Let's have one government, one parliament and one president," Haniyeh said. The overture was received coolly by Fatah, whose leader, Abbas, is engaged in a new round of U.S.-sponsored peace talks with Israel. Hamas refuses coexistence with the Jewish state. Ahmed Assaf, a Fatah spokesman, said Haniyeh's speech "included nothing new, neither a clear plan nor a certain timetable". Pressured by the deterioration of ties with former regional backers Syria, Hezbollah, Iran, as well as by Mursi's fall and the ensuing Egyptian crackdown on Palestinian tunnels used to smuggle arms and commercial goods into Gaza, Hamas is in steep financial decline. Haniyeh sought to soften tensions with Cairo, denying Egyptian accusations the group had intervened in the internal unrest on behalf of Mursi's Islamist supporters. Hamas has also tried to fend off allegations that it was aiding Islamist militants in the lawless Egyptian Sinai desert, which borders both Gaza and Israel. "We have not intervened in internal Egyptian affairs, neither in Sinai nor anywhere else in Egypt," Haniyeh said. Cairo's closure of some 1,200 smuggling tunnels on the Egypt-Gaza border has deepened Palestinian material shortages, adding to pressure from a long-standing Israeli embargo on the coastal strip, and denied Hamas a major source of tax revenue. Haniyeh said Palestinians could do without the smuggling tunnels were Egypt to open up its border with Gaza rather than support the Israeli blockade. But he hinted that Hamas was hard at work digging a different kind of tunnel - under the border with Israel, to strike at the Jewish state in a future conflict. Israel and Hamas fought an eight-day war in November. The Israelis unearthed one such tunnel last week, saying its Palestinian operators apparently planned to kidnap a soldier or set off underground explosives. Hamas did not claim or deny responsibility for that tunnel. 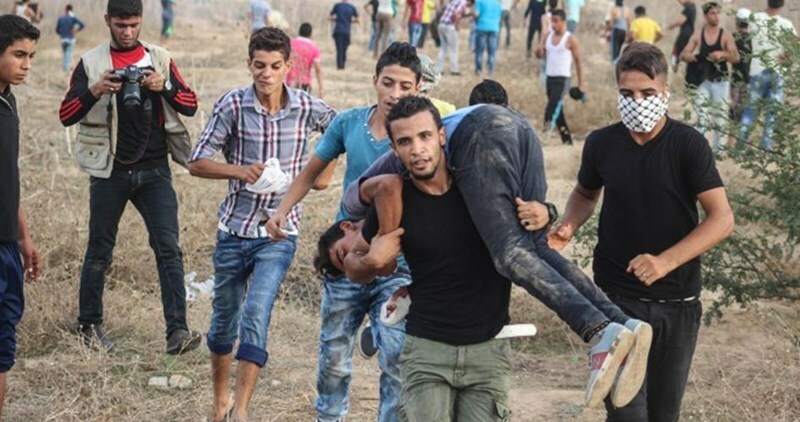 But Haniyeh said in the speech that "thousands of heroes have been working in silence, below ground, to prepare for the coming battles in Palestine". British Consul General to Jerusalem Sir Vincent Fean said Friday that Israel's continued construction of settlements on Palestinian lands throughout the peace negotiations is "killing opportunities" for peace. In an exclusive interview with Ma'an, Fean expressed optimism about the possibility of a comprehensive political agreement being reached with Israel in spring 2014 that could lead to the establishment of "Palestinian statehood." However, he added that the continued construction of Israeli settlements within the West Bank despite ongoing negotiations between Israel and the PLO was dampening possibilities for peace. Fean said that the potential comprehensive solution would involve Jerusalem as the joint capital of both states, with a limited exchange of lands on either side of the Green Line. Finding a solution for refugees outside of Palestine is different from finding a solution for refugees inside Palestine, he added. 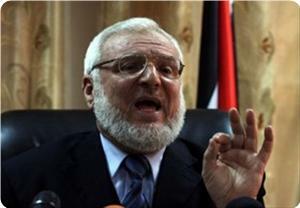 Fean also called on the Palestinian Authority to launch negotiations with Hamas and to conduct new elections. The proceedings of the negotiations between Israel and Palestine are "confidential," he said, and are supported by American and European financial investments. Speaking about the civil war in Syria, Fean - a former ambassador to Damascus - told Ma'an that the United Kingdom does not support an armed European intervention. A political solution is the only solution, he said. Additionally, he revealed British plans to reopen their embassy in Tehran, which has been closed since 2011. Fean, who also worked as an ambassador in Libya for four years, said that it was better for the West if Libya stayed united in the face of ongoing instability. "Libya has petrol and it has a small population of less than 6 million people," he said, adding that the West could help Libya solve its militia problems by supporting those who won parliamentary elections. German Chancellor Angela Merkel urged Israel Friday to show "restraint" in the building of Jewish settlements, after talks with President Mahmoud Abbas. "We call on Israel to show restraint in the matter of settlement building," Merkel told a joint press conference with Abbas in Berlin. Construction starts in Jewish settlements on occupied Palestinian land rose by 70 percent year-on-year in the first half of 2013, anti-settlement group Peace Now said Thursday. Terming them "illegal," Abbas said Israeli settlement construction in the occupied territories had "in fact, increased enormously". "We ask the Israeli government to stop this activity," he told reporters through an interpreter. Senior Palestinian negotiator Saeb Erakat told AFP Thursday that the settlement building was "destroying the peace process", relaunched with US prodding in July. 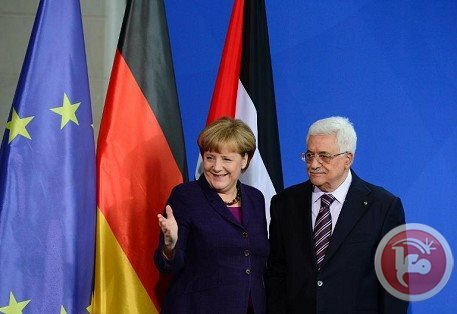 Merkel reiterated Germany's support for the peace talks and a two-state solution, while Abbas thanked Germany for its economic support and its role in the peace process. "We are serious in our efforts to conduct the negotiations," he said, adding an appeal directed at the Israeli government: "We should seize this historic chance." Merkel also stressed that Germany's foreign policy would continue in the same vein as previously despite the likely formation of a left-right grand coalition, currently under negotiation between her conservatives and the Social Democrats after Sept. 22 elections. 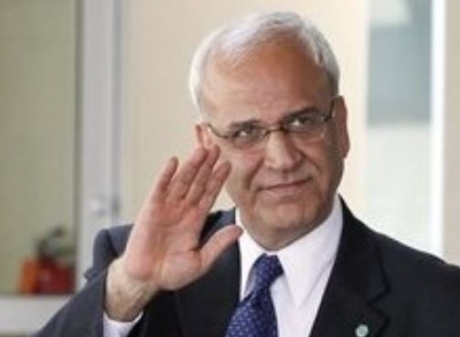 Chief Palestinian Negotiator, Dr. Saeb Erekat, stated on Thursday evening that the current peace talk, held between Israel and the Palestinians behind closed doors, are not leading to any positive outcome, and that the Israeli government is foiling any chances for a peace deal. Israeli Maariv has reported that Erekat commented on a report by Israel’s Peace Now Movement regarding the escalation of Israeli settlement construction and expansion activities in occupied Palestine, and said that “Israel is sabotaging the entire peace process”, and that Israel’s settlement activities “will lead to halting and ending peace talks”. According to Maariv, Erekat said that “Israel is busy building and expanding settlement, instead of being busy in building peace”. The Palestinian official further stated that decision makers in Tel Aviv are responsible for the current situation, and that their policies will eventually lead to the collapse of the entire peace process. Visiting Italy, Nabil Rodeina, Political Advisor to President Mahmoud Abbas, stated that the Palestinian Authority will not allow any presence of the Israeli military in the Palestinian territory, and that the only solution to the conflict is “establishing an independent Palestinian State on the 1967 border, with East Jerusalem as its capital”. The Palestinian statements came despite a commitment made by Israeli and Palestinian leaders to the American Mediator, Secretary of State John Kerry, in which they agreed not to make any statements to the media regarding what is happening in political doors, held behind closed doors. Palestinian sources said that Erekat decided to “come out of silence” due to frustration resulting from ongoing Israeli violations, including its ongoing settlement construction and expansion activities. It is worth mentioning that Palestinian President, Mahmoud Abbas, met on Thursday with the Pope in the Vatican, and said that he hopes a peace agreement will be signed soon between Israel and the Palestinians. 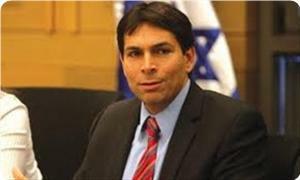 Danny Danon, the Israeli Deputy War Minister, the right-wing of Likud party, declared his total rejection of the idea of a Palestinian state. During a meeting held in Ramat Gan in solidarity with settlements in the occupied West Bank, Danon vowed that his party will not sign any interim agreement with Palestinians. The Palestinian and Israeli Authorities have resumed direct negotiations under the US auspices since mid-August in an attempt to put an end to the conflict in the area according to their statements.